One night. Two parties. 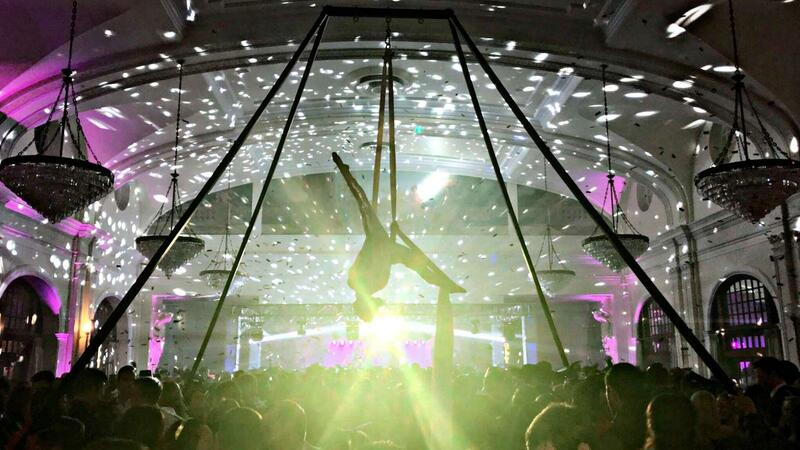 The Crystal Ballroom and Lawless have united for an amazing NYE party. Your general admission ticket will get you into the ultimate and all-inclusive party at The Crystal Ballroom. The ballroom is 11,000-square feet overlooking downtown and features, six all-inclusive premium bars, live music from The Slags, DJ, two spacious rooms, midnight champagne toast and infinite possibilities. "VIP" tables are available for an additional price. Upgrade your general admission ticket with a pass into the adjoining intimate and glamorous Lawless Spirits and Kitchen. Your upgraded ticket will have you feeling like a rock star this NYE. You will have admission into the Crystal Ballroom and a table at Lawless, which will feature an all-inclusive super premium bar, chef bites starting at 9pm, DJ, and street tacos at 1am. 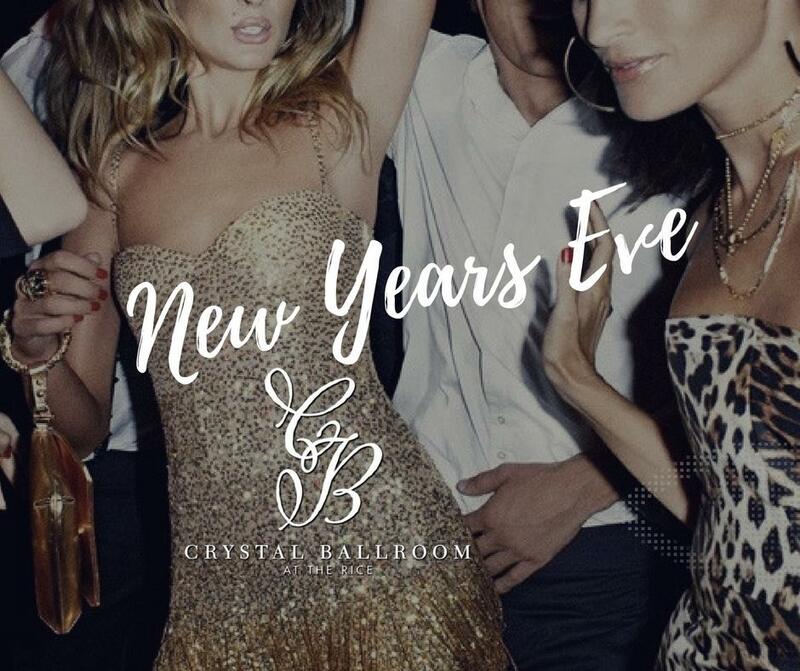 The Crystal Ballroom and Lawless are an unparalleled choice for your New Year's Eve. Only 1,000 tickets will be sold for this event! Make your reservations today for this all inclusive and truly one-of-a-kind event! Your confirmation is your receipt. Bring your confirmation with you when you come. The Crystal Ballroom General Admission - $115 STILL AVAILABLE! This isn't another warehouse party! We are ringing in 2019 in style at the historic and glamorous Crystal Ballroom. Our all-inclusive event features live music from The Slags, and a DJ spinning in the Empire Room. At 1:00am, the Sambuca Executive Chef will feature an elaborate breakfast taco buffet for guests. ** Ticket prices increase ($125) after Dec 15th. Rock out, with your party hats out! Upgrade your NYE party with the LAWLESS party package for the ULTIMATE NYE. In addition to all the party perks in the Crystal Ballroom, the Lawless rock star party package includes admission to the glamorous Lawless, which features a 9:00pm chef appetizer buffet, all-inclusive SUPER premium bar, DJ and a 1:00am street taco buffet. Lawless, also located in the Rice Hotel, is Houston's most en vogue establishment. The interior exudes glamour in every detail. Upon entry, guests will proceed up a grand staircase that sits beneath a glorious chandelier. The outside terrace is a beautiful backdrop as it overlooks downtown. Give your dancing feet a rest and ring in the New Year with reserved seating for you and your 3 fabulous BFF's. Each table comes with NYE party favors and a bottle of champagne to toast. Must purchase tickets to the Ballroom in addition to the table. Each table seats 4 people. **Each guest MUST PURCHASE GENERAL ADMISSION TICKETS in addition to the RESERVED table.